Nothing captures the essence of Susan Korn’s accessories label, Susan Alexandra, like the designer’s favorite creation: the Merry bag. “That’s M-E-R-R-Y,” Korn spells out for me over the phone. Named for her mother, the handmade bag is small—8 inches by 9 inches—and boxy, with a square base and two top handles. Its simple construction allows for its most striking quality to shine: rainbow-colored, crystalline beads stacked in neat, sparkling rows. “I designed it just thinking of pure, unadulterated joy,” Korn tells me. “I was thinking of sprinkles on a birthday cake when you’re little, and I was thinking of Christmas lights, and I was thinking of different sequins.” In other words, the bag—and really, all of Korn’s bags—“has all these things that just make your heart skip a beat,” she says. The brand has been well-known in fashion circles for some time—it’s sold at Opening Ceremony and on Shopbop.com—but a key celebrity placement introduced Merry to the masses. Late last June, Gigi Hadid shared an Instagram of herself on a boat in Mykonos, her Merry bag perched in the foreground. The picture was, as Korn told me, a “milestone” for the brand, as it would be for any designer—Hadid currently has 43.6 million Instagram followers. The rest is social media history. Demand for Susan Alexandra is high—there’s currently an online waiting list for the next re-stock of the Merry bag—but Korn promises the craftsmanship makes the wait worthwhile: Every product is made by hand; it takes up to six weeks for Korn and her small team to piece together the 1,500-odd beads it takes to make a single unit. Then, of course, there’s the unrivaled happiness of wearing something so unabashedly fun. Before designing the boxy bags which have expanded from rainbow beads to include a bunch of quirky motifs, like fruit prints and cowhide, Korn worked in the jewelry space. She assisted New York-based jewelry Jill Platner for a few years, before leaving to launch her own jewelry business. When her jewelry business began to pick up, around 2017, Korn found the room to grow Susan Alexandra. Enter: the beaded bags, which range from $50 to $385. 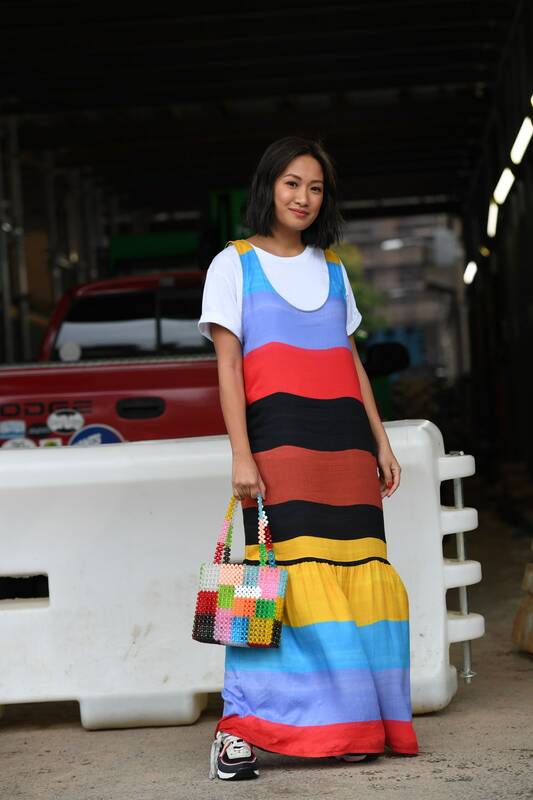 “I think there’s just something very human about loving bright color and sparkle,” she says. If the Gigi’s and Bella’s of Instagram keep buying up her whimsical bags, that’s fine with Korn. She’ll still consider it a personal highlight to sell her bags to anyone who finds joy in them, no matter their follower count.